By Brandon Movall, Transportation Systems, Municipal Services, WSB & Associates, Inc. It is no secret that infrastructure is expensive. Federal, state, and local governments spend over $400 billion on water and transportation infrastructure annually, with state and local governments paying 77 percent of the bill (Congressional Budget Office 2015). Even with this massive amount of spending, our infrastructure continues to deteriorate. The American Society of Civil Engineers says that we need to invest another $10 billion per year just to keep our system “as is,” and another $70 billion per year to improve our infrastructure (Mooney 2014). With state and local governments paying three-quarters of the cost currently, the question is clear: can the federal government contribute any more funds to improving our infrastructure? The way the federal government currently funds road and mass transit projects (which account for the majority of infrastructure costs) is through the Highway Trust Fund. This fund gets its money from public fees, such as diesel and gasoline taxes. The current gas tax is 18.4 cents per gallon, and has not been changed since 1993 (to put that in perspective, 20 years ago, average gas prices were $1.05 per gallon) (U.S. Energy Information Administration 2017). In addition, the gas tax has not been adjusted for inflation, which has had a major impact on construction projects. Also, fuel efficient vehicles have become increasingly more common, meaning the public is using less gas to go the same distance. The combined impact of these issues has decreased the value of the gas tax by nearly 30 percent (Institute on Taxation and Economic Policy 2014). An increased gas tax may be able to help, but political divides about tax policy have kept that from happening. However, reformed federal infrastructure spending may be coming soon. As part of President Trump’s 2016 Campaign, he proposed an infrastructure plan that would provide $1 trillion of new infrastructure spending (Auxier 2017). This plan calls for using tax credits to motivate private investors to enter into public-private-partnerships (PPPs). PPPs are agreements made between a private firm and a public entity that can increase accountability, decrease costs, and save time (learn more about PPPs in our WSBPedia article “Pricing Risk and the New Era of Public-Private Partnerships in Transportation Delivery”). However, many details of this plan are unknown, such as how PPPs will get their revenue, as well as how state and local governments will factor in. Infrastructure spending is at a critical junction, and an increased tax gas tax may be able to help fund new and existing projects. However, with little known information about the Trump plan, we will have to wait for when Congress begins debating a large tax bill scheduled for later in 2017 to see if federal infrastructure funding will be increased or not. Auxier, Richard C. and John Iselin. "Infrastructure, the Gas Tax, and Municipal Bonds: Tax Debate 2017" Tax Policy Center, March 23, 2017. Accessed July 7, 2017 http://www.taxpolicycenter.org/publications/infrastructure-gas-tax-and-municipal-bonds/full. Congressional Budget Office. Public Spending on Transportation and Water Infrastructure, 1956 to 2014. Washington, DC, 2015. https://www.cbo.gov/publication/49910. Institute on Taxation and Economic Policy. The Federal Gas Tax: Long Overdue for Reform. Washington, DC 2014. Accessed July 7, 2017. https://itep.org/wp-content/uploads/pb43fedgastax.pdf. Money, Chris. "The gas tax has been fixed at 18 cents for two decades. Now would be a great time to raise it" The Washington Post, December 3, 2014. Accessed July 7, 017. https://www.washingtonpost.com/news/wonk/wp/2014/12/03/why-now-would-be-a-very-good-time-to-raise-the-gas-tax/?utm_term=.2268a1ebf6e5. U.S. Energy Information Administration. Weekly U.S. 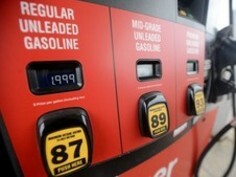 Regular All Formulations Retail Gas Prices. Accessed July 7, 2017. https://www.eia.gov/dnav/pet/hist/LeafHandler.ashx?n=PET&s=EMM_EPMR_PTE_NUS_DPG&f=W.